Take Up to A $1,000,000 Deduction! Business Equipment - Section 179 Expensing Allowance $1,000,000! Section 179 allows smaller business owners who acquire equipment for their business: machinery, computers, software, and other tangible goods, to immediately write off the full price of the equipment rather than depreciating them over several years. Section 179 is ready to enhance your bottom line in 2017-18. If you've been thinking about buying new or used equipment for your business, then THIS is definitely the year to do it, because the government is going to give you a VERY generous tax deduction in 2018. Section 179 applies to new and used equipment purchases, but must be "new to the business", and also includes certain software and vehicles. Under Section 179, businesses that spend less than $2,500,000 a year on qualified equipment, may write-off up to $1,000,000 in 2018. The rules are designed for small companies, so the $2,500,000 deduction phases out when a business purchases more than $2,500,000 in one year. (Companies cannot write off more than their taxable income). The benefit of a Non-Tax/Capital Lease is that you can take advantage of Section 179: expense up to $1,000,000 if the equipment is put in use during 2018. In addition, you are allowed an additional 100% first-year depreciation on new equipment. Examples of Non-Tax/Capital Leases include a $1.00 Buyout Lease, an Equipment Finance Agreement (EFA), and a 10% Purchase Upon Termination (PUT) Lease. The sample calculation below shows how taking advantage of Section 179 can significantly lower the true cost of the equipment. Did you know that your company can lease equipment and still take full advantage of the Section 179 deduction? In fact, leasing equipment and/or software with the Section 179 deduction in mind is a preferred financial strategy for many businesses, as it can significantly help with not only cash flow, but with profits as well. 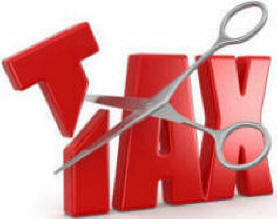 You can deduct the full amount of the equipment and/or software, without paying the full amount this year. The amount you save in taxes can actually exceed the payments, making this a very bottom-line friendly deduction (you are reading this correctly; in many cases, the deduction will actually be profit). This expense deduction is provided for taxpayers (other than estates, trusts or certain non-corporate lessors) who elect to treat the cost of qualifying property as an expense rather than a capital expenditure. Under Section 179, equipment purchases, up to the amount approved for a given year, can be expensed (deducted from taxable income) if installed by December 31, 2018. Any excess above the expensed amount can be depreciated depending on the equipment type. Not all states follow federal law. Contact your tax advisor for the specific impact to your business or visit www.irs.gov. Get a Lease Quote Now! IMPORTANT NOTE: First Capital Equipment Leasing Corp. DOES NOT offer tax, legal or financial advice and is NOT RECOMMENDING that you take an action with respect to the information presented. You should review and discuss this program with your CPA and such independent financial, tax, legal and other advisors as you deem appropriate.